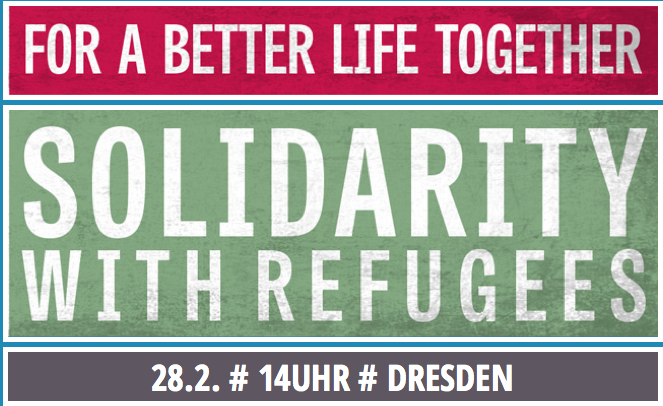 Food4Action unterstützt die Küche BlackWok beim Kochen für die Demo „Solidarity with Refugees“ in Dresden. Conference „Stop War on Migrants“ 6.-8.2. This is an invitation to cook with us!! lange könnt, ist Sonntag Vormittag mit uns Abbauen auch ne Erleichterung. Most stuff we will see there spontaneausly. We expect some hundred people. Cooking starts Friday around 11 oclock in the morning and will go on the whole weekend. A little group of people has found together to take care of the kitchen. Du browst gerade in den Food For Action Weblog-Archiven nach dem Monat Februar 2015.